French designer Philippe Nigro started his career in 1999, and has since participated in many projects in product, furniture, lighting, interior and events design. His work is characterized by the link between prospective research and the pragmatic analysis of the "know-how" of the clients with whom he works. Nigro initially met Giulio Cappellini in 2008 at the Salone del Mobile when he presented a prototype of his Intersection sofa. "The Journey of Water" is the first time the two have come together in a project. 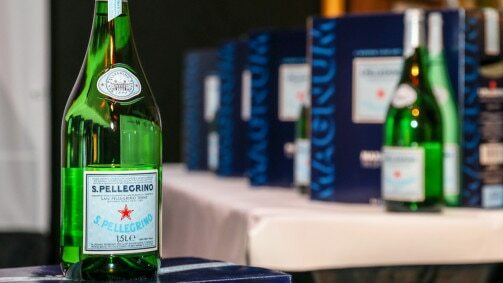 Choosing ‘Bubbles’ which he claimed “is the most immediate image that people have when thinking of S.Pellegrino”, the designer was able to transform the iconic blue and white watermark of the S.Pellegrino label into something entirely different yet, at the same time, familiar. His work for "The Journey of Water" project beckons the observer to take another look at the famous mineral water bottle – to rediscover it. 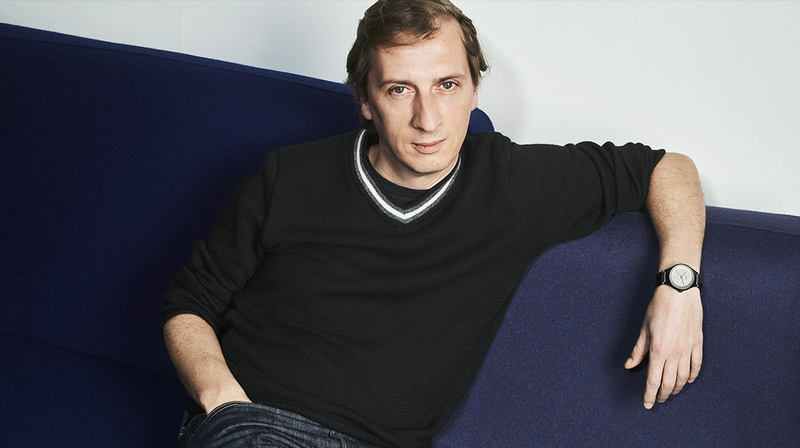 To create an object that is surprising, yet has an immediate connection to its history, this is just one question that Philippe Nigro seeks to answer in his work. In the same way he highlights the bubbles of S.Pellegrino, thereby completing the cycle of water, he looks to the eternal nature of materials, their creation and respectful use in design. 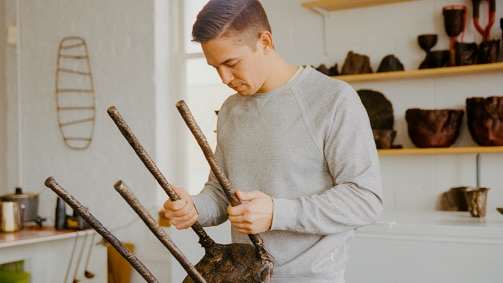 Over the years, his experience, reinforced by the combination of Franco-Italian culture has allowed him to work across projects of different types and scales, whether working with industry, furniture editors or craftsmen. No stranger to calls by large brands, Nigro has collaborated with brands including Ligne Roset, Venini, Foscarini, DePadova, Baccarat, Moleskine, Lexus and Hermès. 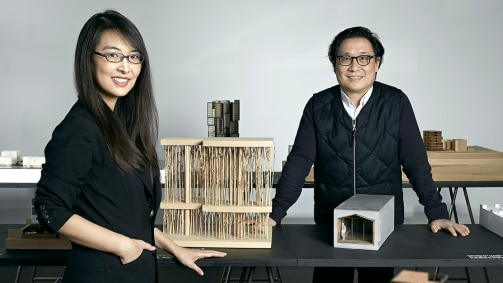 Some of these projects are part of the permanent collections of the Paris Centre Pompidou and Museum of Arts Décoratifs. Nigro was also nominated as Designer of the Year at Paris Maison & Objet in 2014. Discover more about "The Journey of Water".